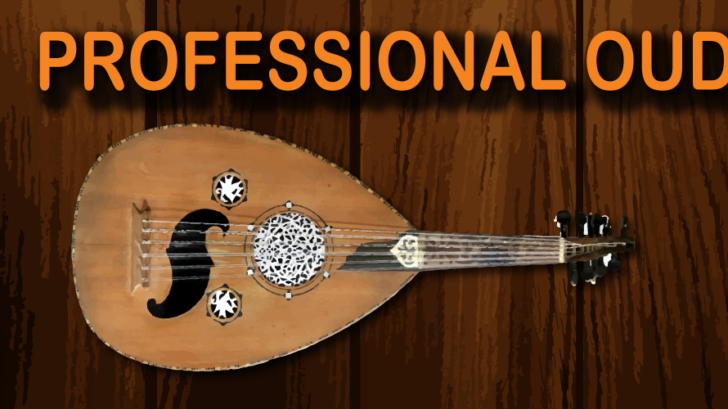 Professional Oud You can play your own historical music with this glarious oud app. The oud is a short-neck lute-type, pear-shaped stringed instrument with 11 or 13 strings grouped in 5 or 6 courses, commonly used in Egyptian, Syrian, Palestinian, Lebanese, Iraqi, Arabian, Jewish, Persian, Greek, Armenian, Turkish, Azerbaijani, North African, Somali, and various other forms of Middle Eastern and North African music. It is very similar to the construction of modern lutes, and to the construction of Western lutes. The modern oud is most likely derived from the Persian barbat. Similar instruments have been used in the Middle East, North Africa, and Central Asia for thousands of years, including from Mesopotamia, Egypt, North Africa, the Caucasus, and the Levant; there may even be prehistoric antecedents of the lute. Have fun.